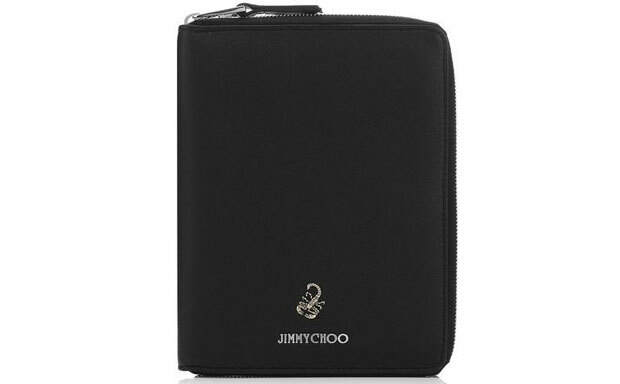 Hyde from Jimmy Choo is a great example how simple things can be attractive and functional. The tablet sleeve sports minimalist design, but oozes luxury and attractiveness. It’s crafted from black biker leather and sports the designer’s signature men’s scorpion detailing. 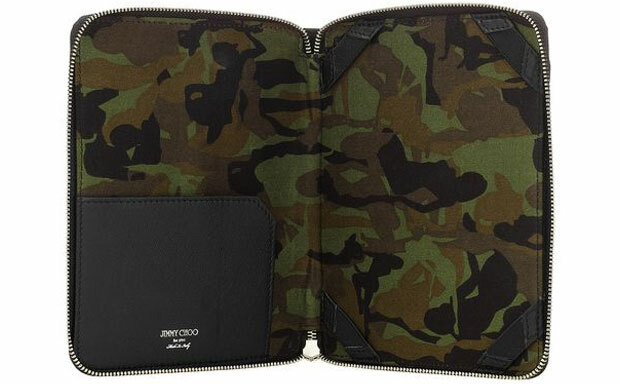 The case comes with a soft interior lining made in camouflage print. There’s a small slip pocket on the inside for the most important things. The tablet is secured via four elastic corner straps inside the case.